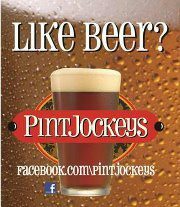 Hi Pint Jockeys! 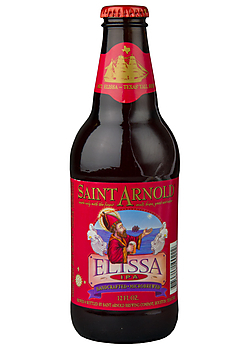 Today we’re taking a closer look at the brand new Saint Arnold Endeavour. While it may not be a seasonal, it’s a brand new brew from one of our favorite Texas brewers, so it’s definitely worth its own post! Endeavour, which is based on last year’s insanely popular Divine Reserve No. 11, will be the first of Saint Arnold’s Divine Reserve series to join the brewery’s year-round beer offerings. It’s also the first double IPA to land a spot among the lineup. With the beer hitting shelves today, we can’t say much about the flavor just yet, but if it’s true to the Divine Reserve No. 11, beer fans are in for a treat. If you didn’t get a chance to try it last spring, Divine Reserve No.11 is a deliciously hoppy amber-colored beer with a light, creamy head and an ABV of 9%. We expect the year-round version of the brew to be equally satisfying. Much like the flavor, the name for this brew is quite interesting. Saint Arnold actually arrived at the name Endeavor after approaching a NASA astronaut for ideas related to the space program. The brewers learned that Endeavour, the name of one of the space shuttle orbiters, was originally named after Captain James Cook’s bark ship which explored the Pacific. Keeping with its nautical theme for IPAs (ELISSA IPA is named after a historic tall ship in Galveston,) Saint Arnold selected Endeavour as the new name. 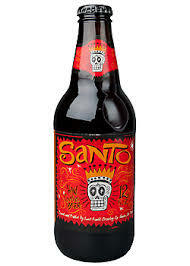 No matter what they call it, a new beer from the masters at Saint Arnold Brewery always delights beer fans. The latest release is a sure sign of another successful year for the brewer, which broke numerous records in 2011 with the release of year round beers Santo and Weedwacker and seasonals Pumpkinator and Sailing Santa. We hope they keep them coming in 2012! Be sure to try the new Endeavour and report back with your thoughts below! If it flies off the shelves before you can get your hands on it, don’t distress! Endeavour will be available at our March tasting event. More details soon.